Tom was AMAZING & exactly what we were looking for! We had a celebration of life event at all for 3 hours with about 40+ people there. My grandmother loved all things Irish so we wanted to have some nice background music during the event. Tom was AMAZING! He played a variety of instruments, lots of songs, sound level was perfect for what we were looking for and very nice and professional. I would HIGHLY recommend him for any event! We are already planning to book him next year for what would be her 90th bday celebration and we will have him do the story-telling/singing for that. He understood that only the singing would be appropriate for our event, and it was!! Dublin-born Tom O'Carroll is a graduate of University College, Dublin. He has been a full-time performer since the 1970's, travelling all over the United States, Canada, Korea and Ireland. He has performed at the Milwaukee Irish Festival, the Dublin Irish Festival, the Montana Irish Festival, the Boston Irish Festival, the Irish Fair of Minnesota, the Savannah Irish Festival, the Michigan Irish Music Festival, the Kansas City Irish Fest, the Buffalo Irish Festival, the Music & Magic Expo in Limerick, Ireland and more. 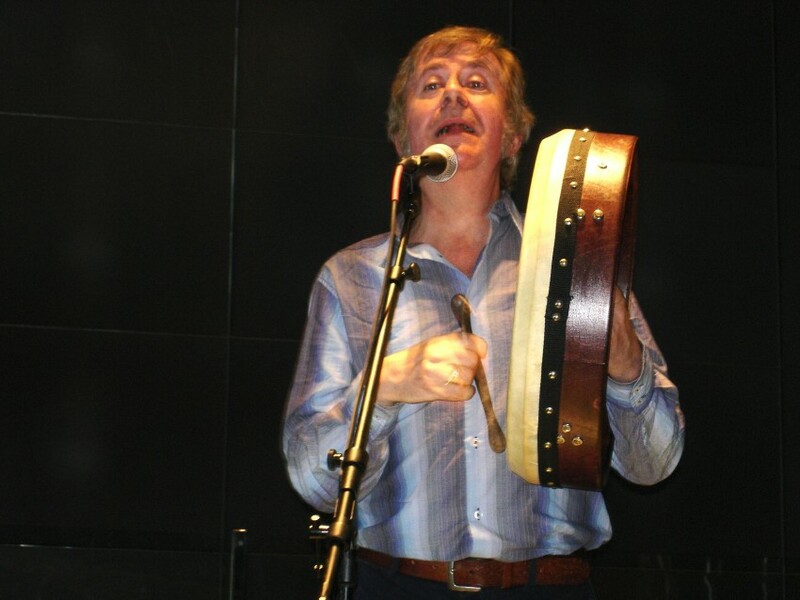 He enjoys presenting his diverse Irish cultural programs at many universities and libraries, as well. Recent review: The Rogues were so fun and were so good! Good musicians and singers! Thanks!